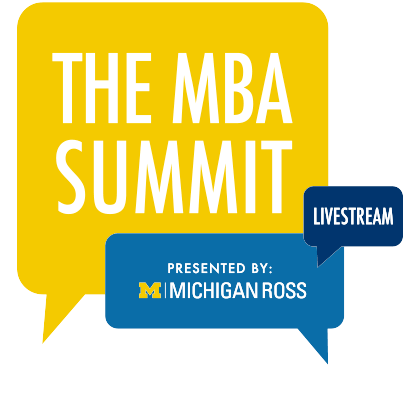 The PhD program in Business and Economics is a joint degree offered by the Ross School of Business and the Department of Economics at the University of Michigan. The goal of the joint program is to prepare scholars who will receive the best training in the theoretical and methodological approaches used in economics combined with the specific training in business applications offered at the business school. The program is designed to serve students who have interests in broad microeconomic research areas of relevance to business, including Industrial Organization, and business-related topics in Labor, Environmental, Health, International, and Development Economics. 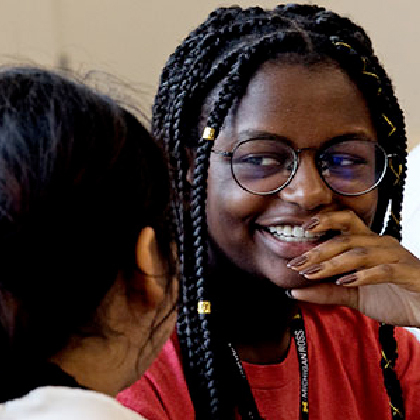 By combining the rigors and accreditation associated with a PhD in Economics with access to faculty, resources, and funding at the level provided by the Ross School, the program is intended to attract outstanding students who will then benefit from working with and being supported by members of the faculty from both units. Graduates of this new program are expected to be particularly attractive hires for academic positions in economics groups in business schools, as well as economics departments, policy schools, and schools of public health aiming to hire well-trained scholars interested in applied economics research. To receive the Business and Economics PhD, students must successfully complete requirements detailed in the program guidebook. The program typically takes five years to complete. Students are required to take approximately 16-18 semester-long courses, which can be completed in four semesters (two years). While the first two years of coursework (along with passing the necessary preliminary examinations) are sufficient to advance to candidacy, the students will need a fifth semester of coursework in the Fall of their third year to complete the recommended Business Economics coursework. In their first year, students are required to take the microeconomics (ECON601-604) and macroeconomics (ECON605/607) sequences that is part of the LS&A Economics Department PhD program, and pass the preliminary exams for these courses. In the second year, students are required to choose additional economics courses in the field of their choice, for example international trade, labor economics, or industrial organization, and pass the field exam for the same. ECON600 (Math for economists), and the Economics PhD Econometrics sequence (ECON 671 and 672) are required. (Note: The ECON600 course begins in August.) In addition, students are required take one additional semester-long course in Econometrics to fulfill the advanced methods requirement (e.g., ECON 675). One of the business economics topics classes (BE886) will provide additional methods preparation for the students. Students enroll in five BE topics courses during their first five semesters. This sequence covers topics such as Collusion and Competition, Productivity and Growth, Entrepreneurship and Labor Markets, and Regulation in the Global Economy. Students are also required to attend the Business Economics seminars during their second and third years in the program and write referee reports on a number of the papers (as part of BE 886). They are strongly advised to continue attending seminars throughout the rest of the program. The Business and Economics PhD students satisfy their cognate by default, as a consequence of extensive coursework undertaken in the Economics Department (in addition to the Business Economics coursework). 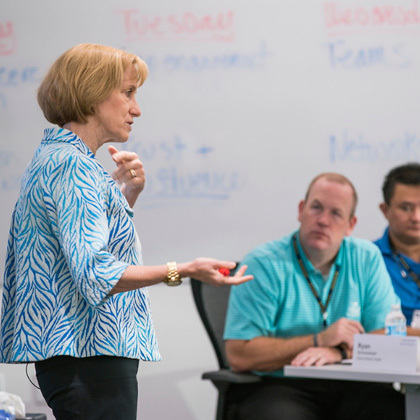 MBA courses: Students who do not have an MBA are recommended to take additional courses to acquire the background needed to understand and teach business practice. Students are required to take the preliminary exams in micro and macroeconomics in the summer before their second year. Students are required to take the exam for their economics field in the summer before their third year. Obtaining a B-plus average in the 7.5 credit sequence of topics and Research Methods courses in Business Economics through the first and second year will constitute their second field requirement. Successful completion of the required coursework, preliminary and field exams, and fulfillment of the Business Economics minimum grade average requirement, results in admission to candidacy. The policies regarding number of attempts and timings for the preliminary and field exams will follow the guidelines for the Economics PhD program, and failure to pass the exams within the allowed number of attempts and time limits would result in expulsion from the program. All PhD students are required to complete BE methods course (BE886) during their third year. In this course, each student is expected to complete a research paper with the assistance of an assigned faculty supervisor. Each paper must be approved by two faculty supervisors on a pass/fail basis, one of whom would be from the Business Economics group. A failed paper can be revised and resubmitted but, consistent with the rules for the Economics PhD program, students must pass this requirement by the beginning of their fifth year. Each student must successfully defend a dissertation proposal before an approved dissertation committee as per the rules of the Economics department. A student planning to go on the Fall job market is strongly recommended to defend a proposal by the May preceding the job market. Each student must have at least four members on his or her dissertation committee. At least two of those must be faculty in the Economics department, and at least one of the members of the committee must be from the Business and Economics group. The committee must have one cognate member. The cognate member must have a regular appointment in a Rackham department. 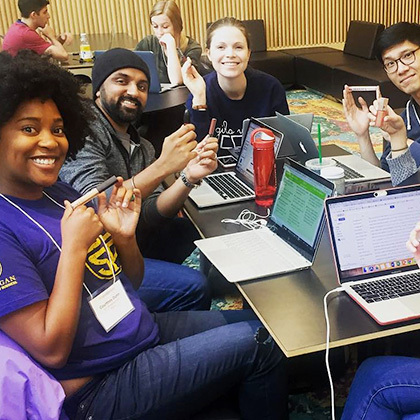 The student can have members of the committee that are not associated with Rackham or with the University of Michigan as long as the above criteria are satisfied. These members can not be the chair or the cognate member. Every member of the dissertation committee must have a PhD. The final dissertation defense is typically scheduled in the winter or summer of the student's fifth year. We assign students to RAship positions during years two through five of the program. Most students work with three to four different faculty members during this period. We give increasing weight to student requests to work with particular faculty members as the students proceed through the program. RAships help a student learn how to identify researchable questions, develop testable hypotheses from a body of relevant literature, and use appropriate methods to test the hypotheses. We encourage students and faculty members to use the RAships to develop co-authored publications. Michigan Ross offers a Teacher Development Program, which consists of an extensive set of workshops concerning teaching skills. The workshops include those developed by Ross and those that we offer in association with the university's Center for Research in Learning and Teaching (CRLT). Students participate in these workshops in order to help develop their teaching skills. 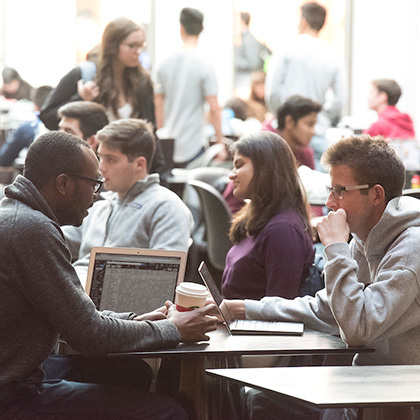 During the fall or winter semester of their third year, students teach an undergraduate (BBA) core, applied microeconomics course or a BBA elective. They can choose among the following courses: BE300 (Applied Microeconomics); BE311 (Public Policy Toward Business); or STRAT310 (World Economy).